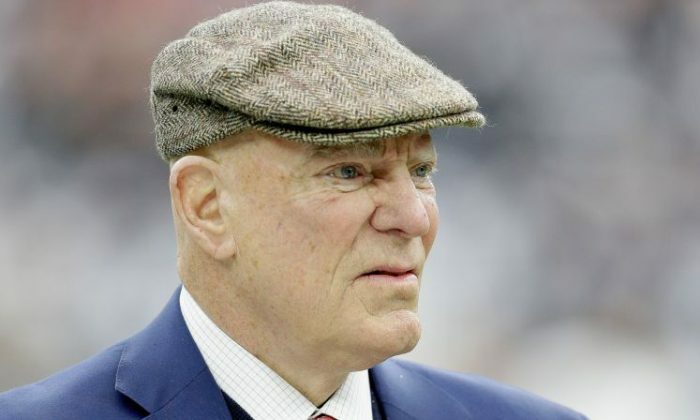 Bob McNair, the owner of the Houston Texans, apologized after he made a statement during an NFL owners meeting. “We can’t have the inmates running the prison,” he said last week in reference to ongoing player demonstrations during the national anthem. “I regret that I used that expression,” McNair said in a statement on Friday, ESPN reported. “I never meant to offend anyone and I was not referring to our players. I used a figure of speech that was never intended to be taken literally. I would never characterize our players or our league that way and I apologize to anyone who was offended by it,” he said. NFL executive Troy Vincent said that he was offended when McNair called NFL players “inmates,” USA Today reported. McNair then personally apologized to Vincent, a former NFL player. McNair tweeted his apology via the Texan’s public relations account.